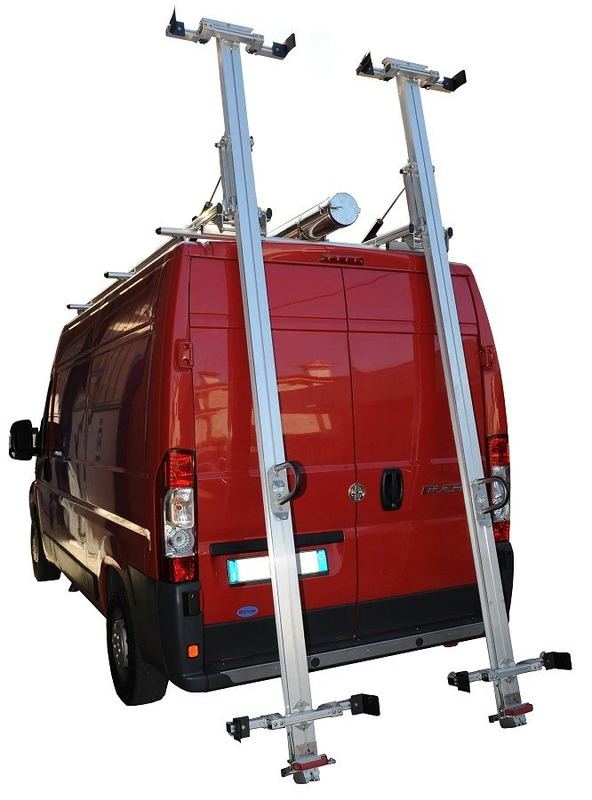 Roof bars, roof racks and ladder racks for Peugeot Boxer from Syncro System. Exclusive Ultrasilent aerodynamic design for the cross bars of Peugeot Boxer for minimal noise and air resistance. 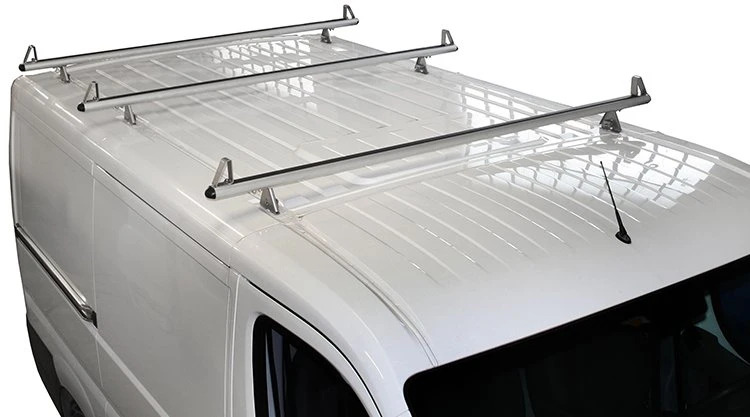 Fixations are made of stainless steel and can be changed at any time that means roof rack is usually transferable from old to new vehicles. 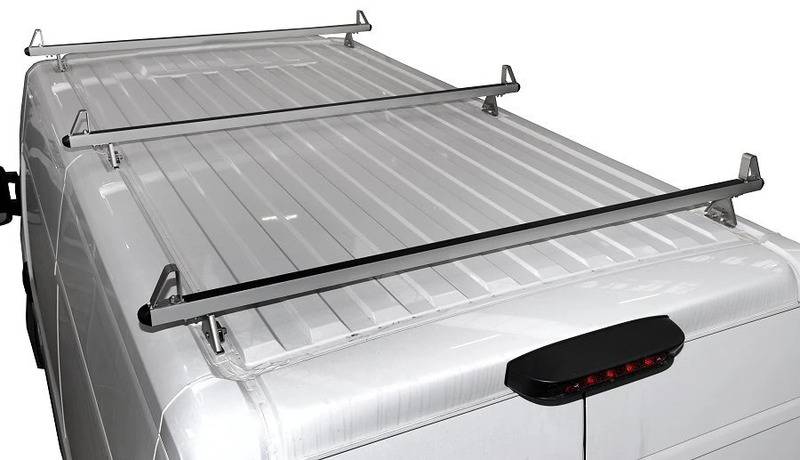 Roof bars comes with a rubber profile on top. 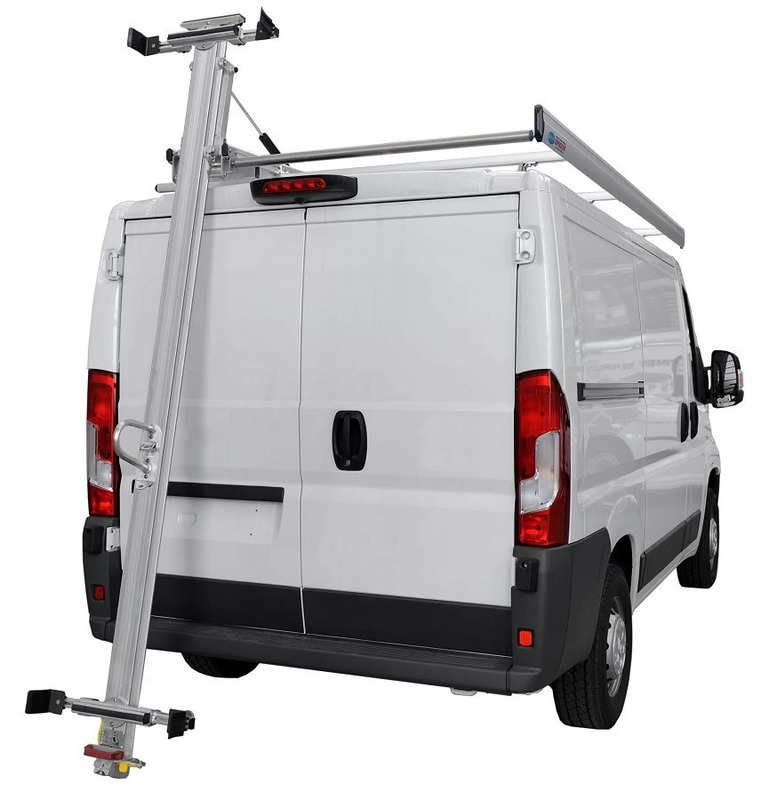 Syncro roof racks are provide with a rear loading roller manufactured in stainless steel for easy loading and unloading of bulky items and anodized aluminium side profiles to secure load on the roof. Lashing straps are supplied as standard. 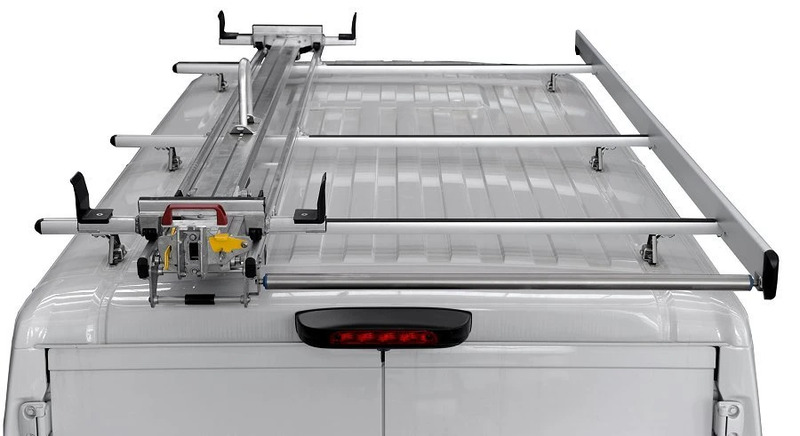 Roof bars and utility roof racks for Peugeot Boxer are modular and silent thanks to the exclusive aliminium profile Supersilent.